What do you think of when you think of Bonfires? 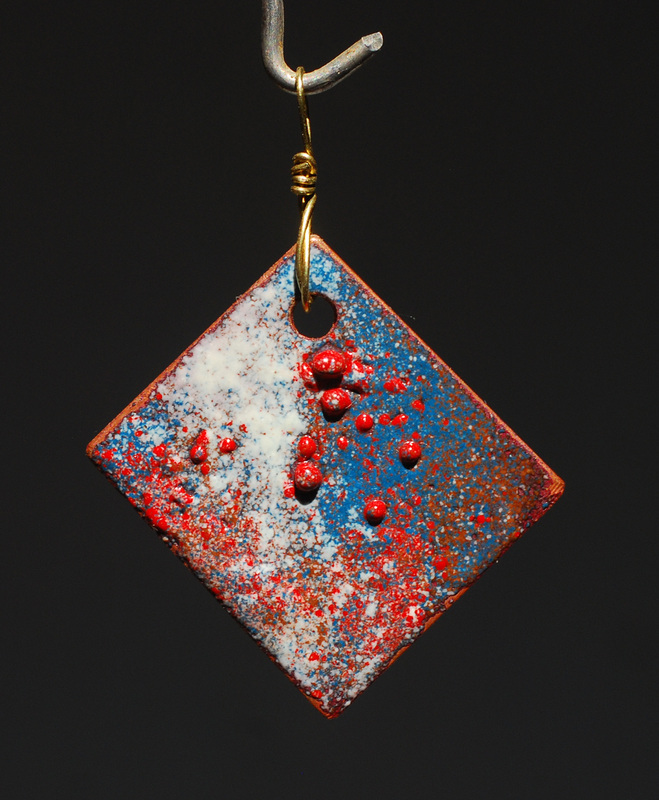 Fire to the sky? 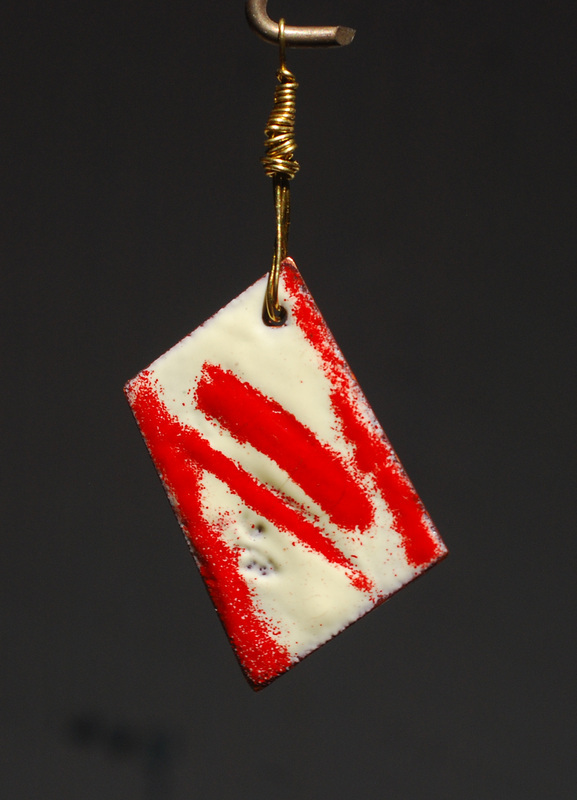 Sparks in the heavens? Marshmallows on graham crackers? 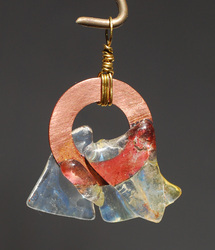 Warm on one side / cold on the other? Songs by the flickering embers? 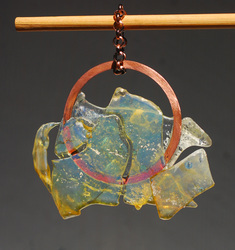 How about molten glass for jewelry making? 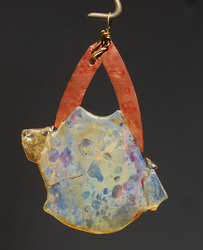 Noel Sylvester and I gathered glass from special bonfires (see 60Hours.info and 61Hours.info) long after the coals had cooled. 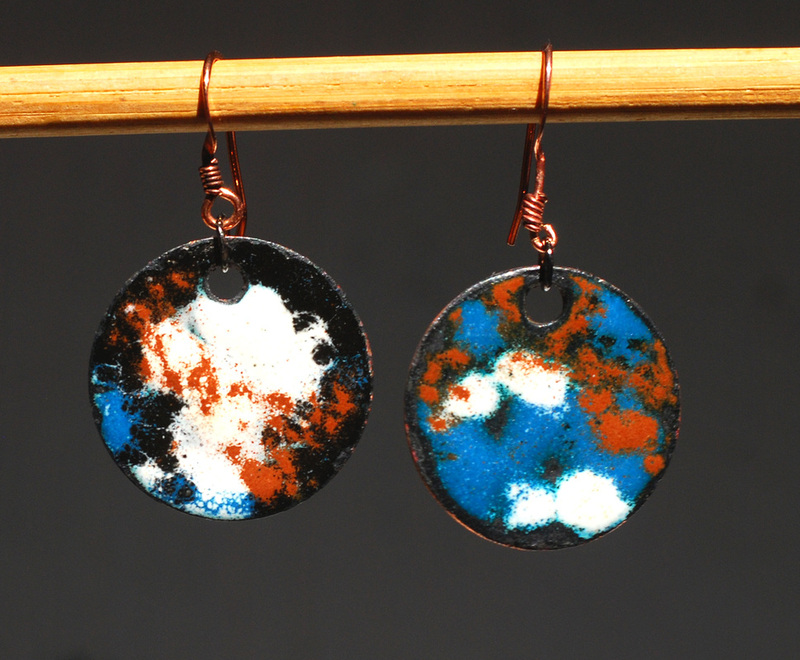 We found wonderfully molten colorized pieces that inspired us to make jewelry. 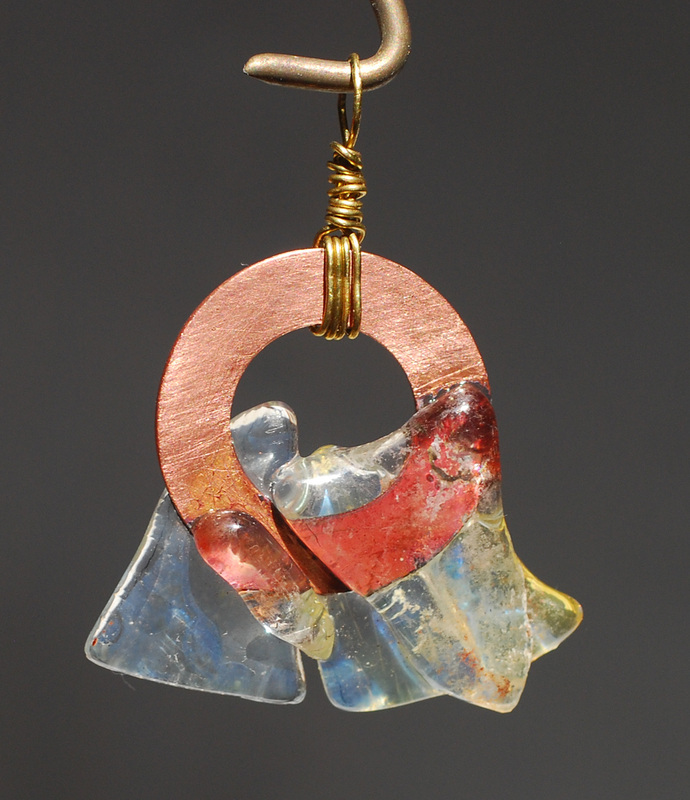 We took the shards and sandwiched a copper piece between them. 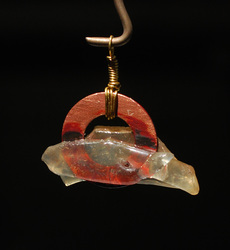 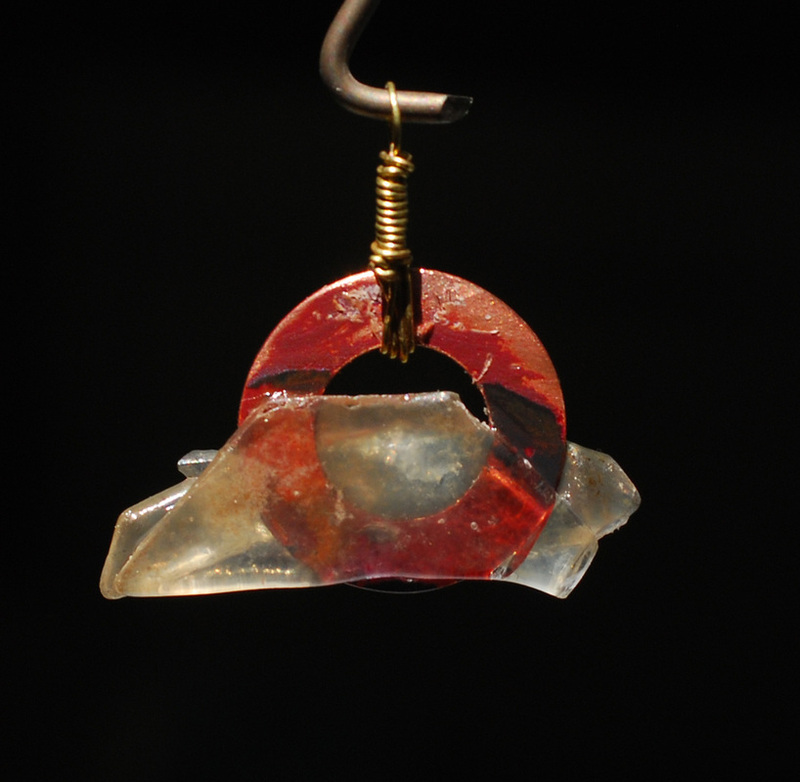 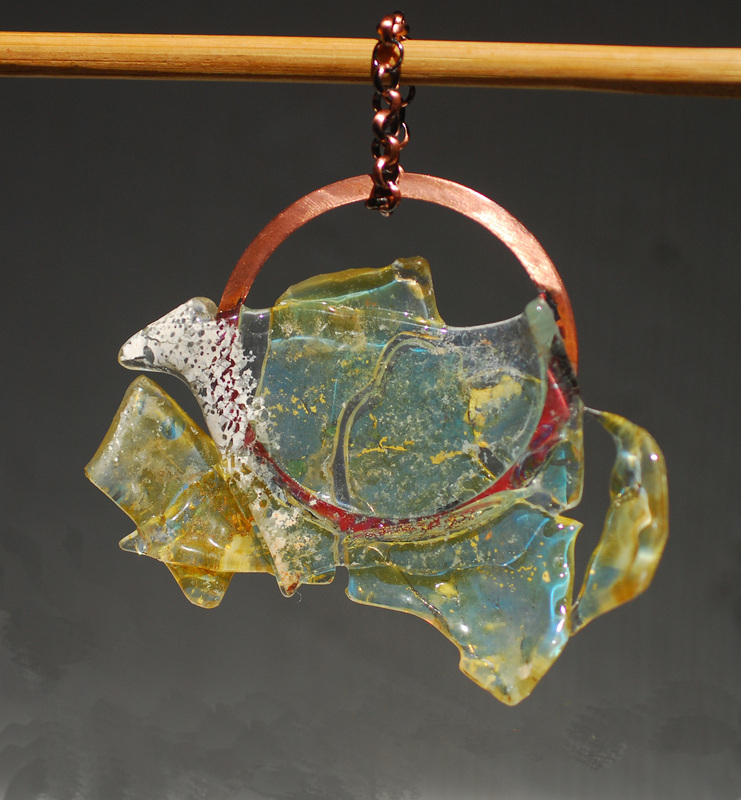 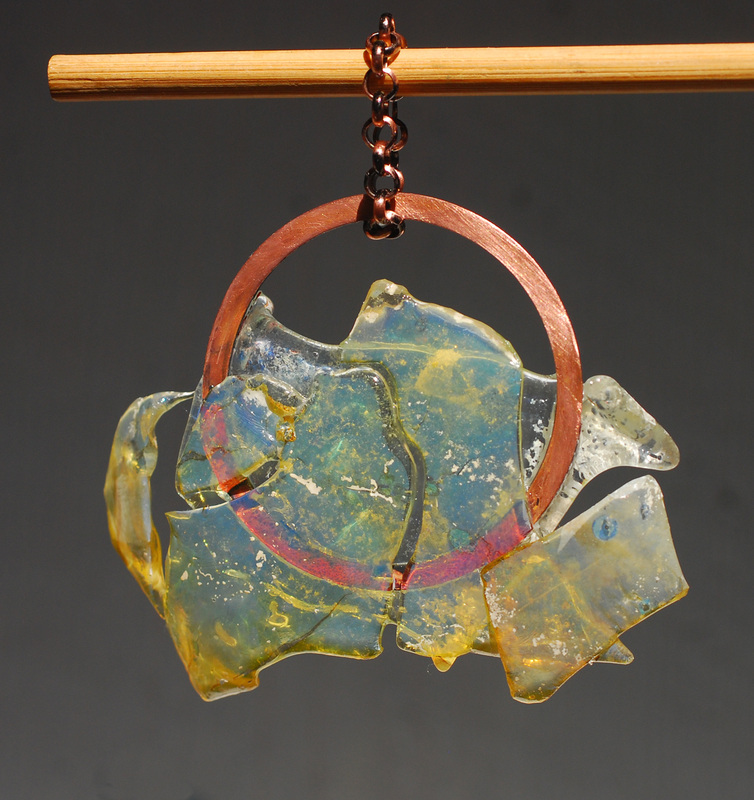 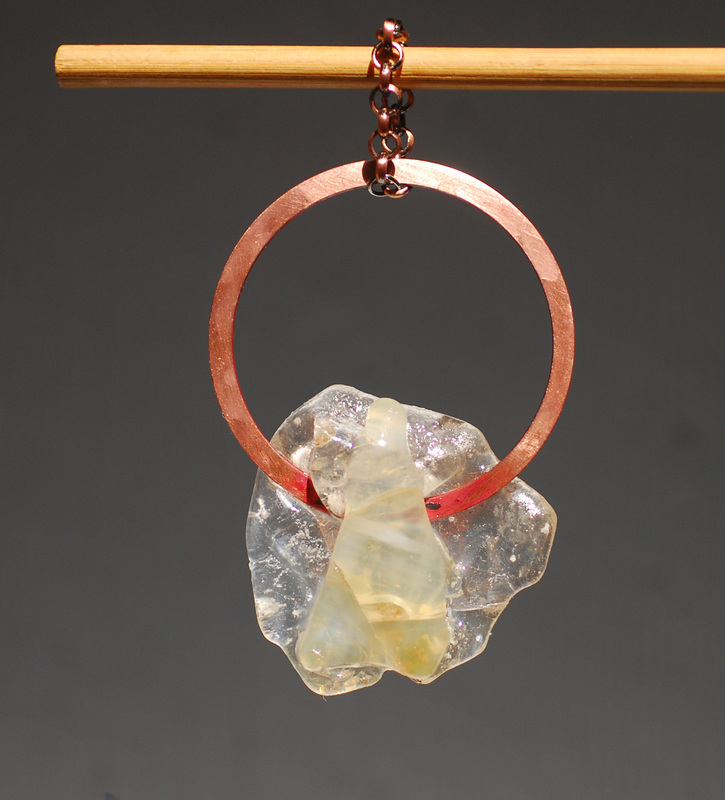 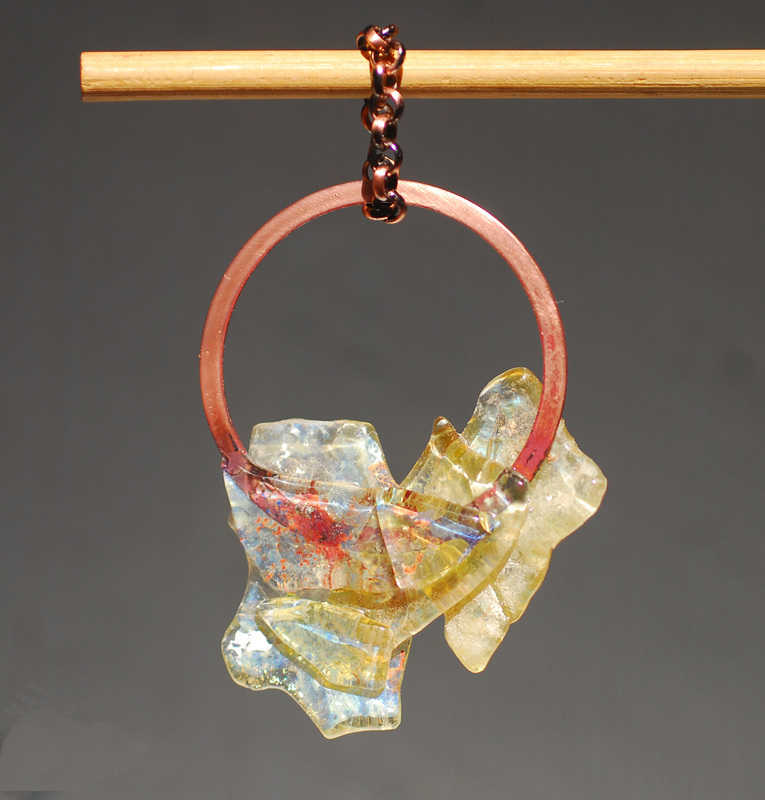 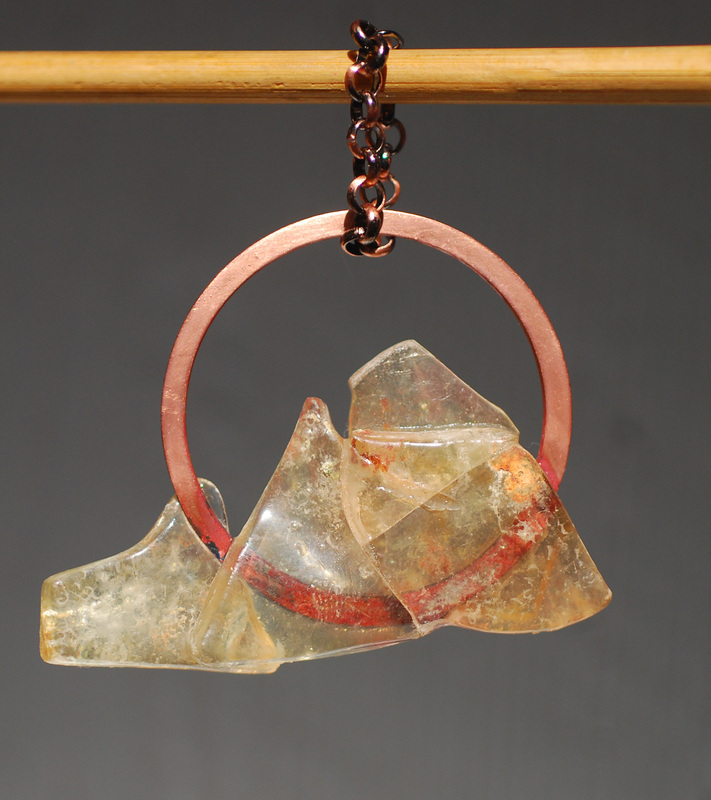 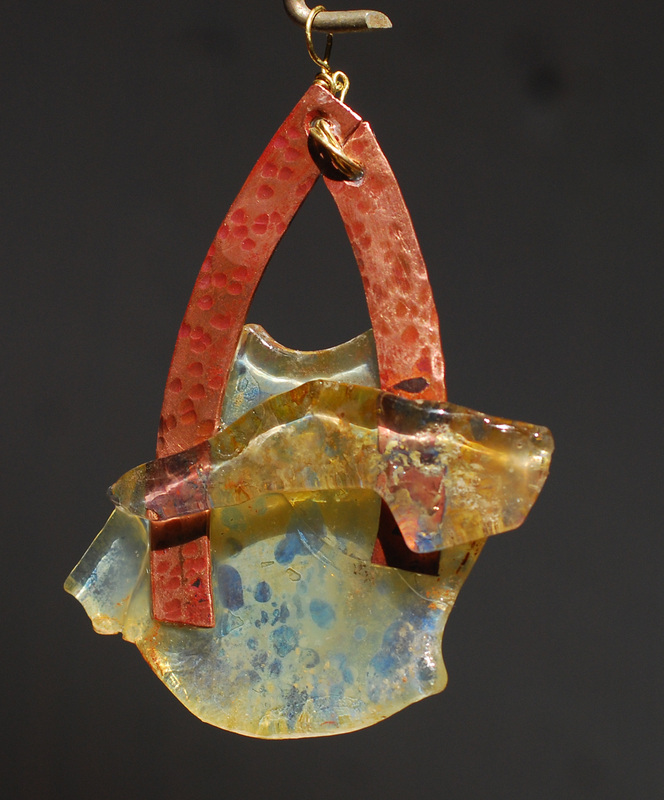 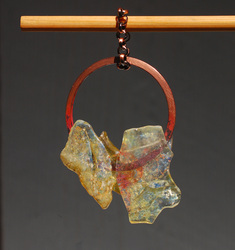 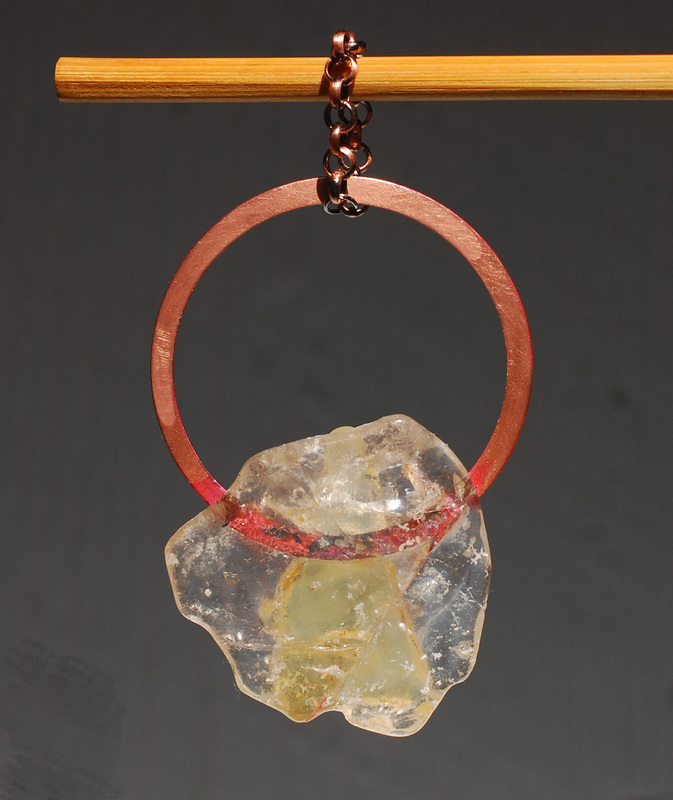 Next, we placed the pendant in an enameling kiln to fuse the glass pieces around the copper. 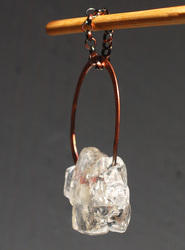 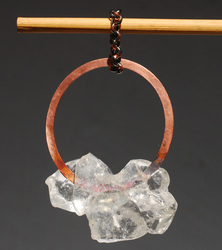 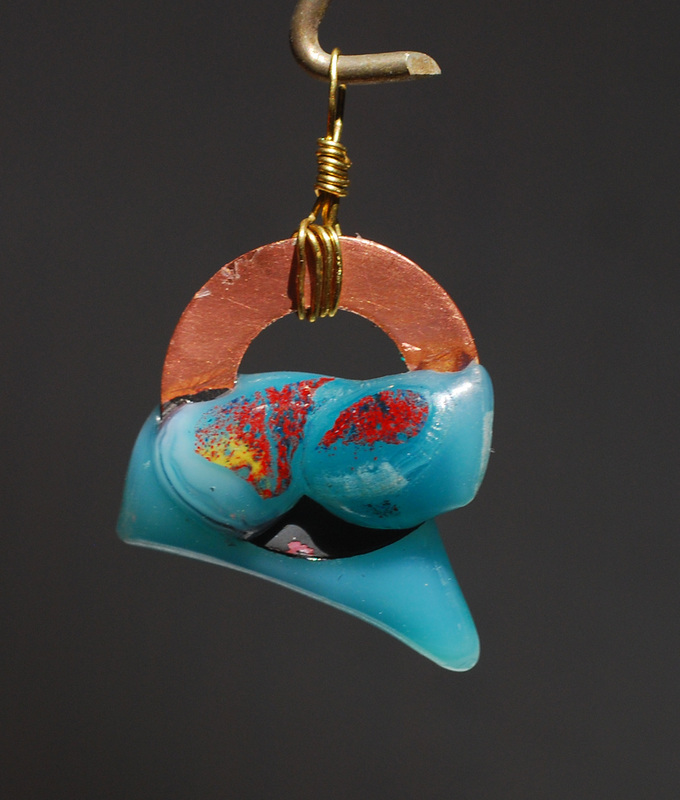 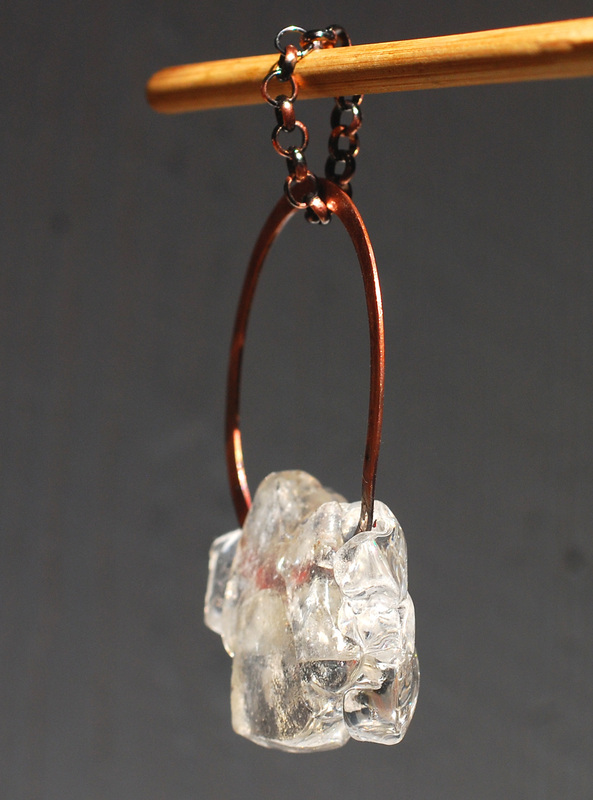 We finished the copper with clear enamel and made a loop of copper chain as the finishing touch. 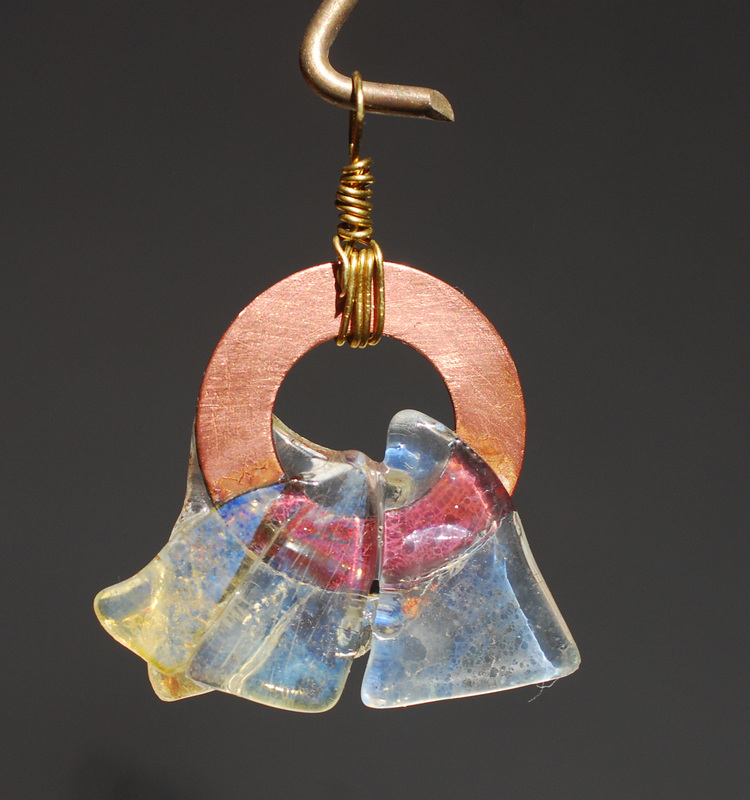 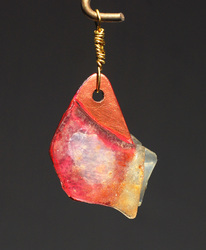 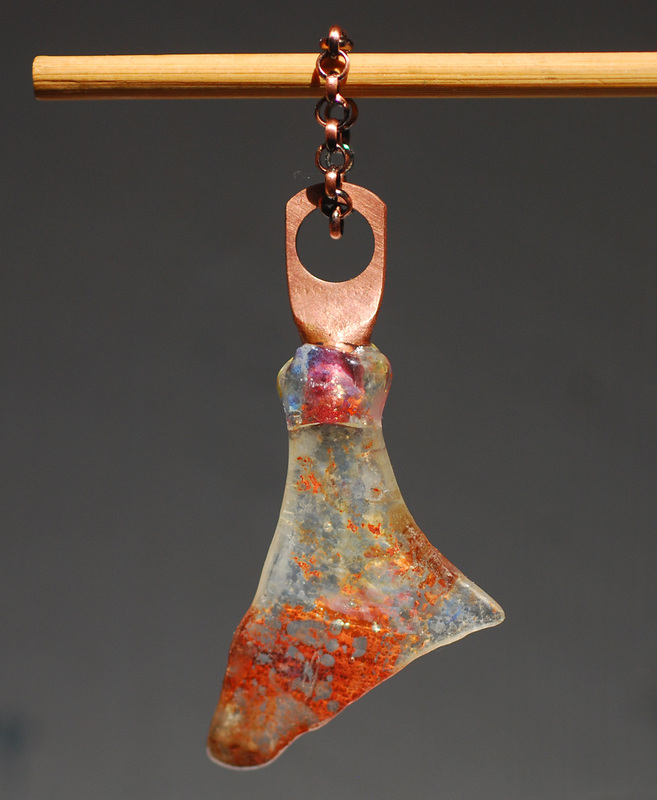 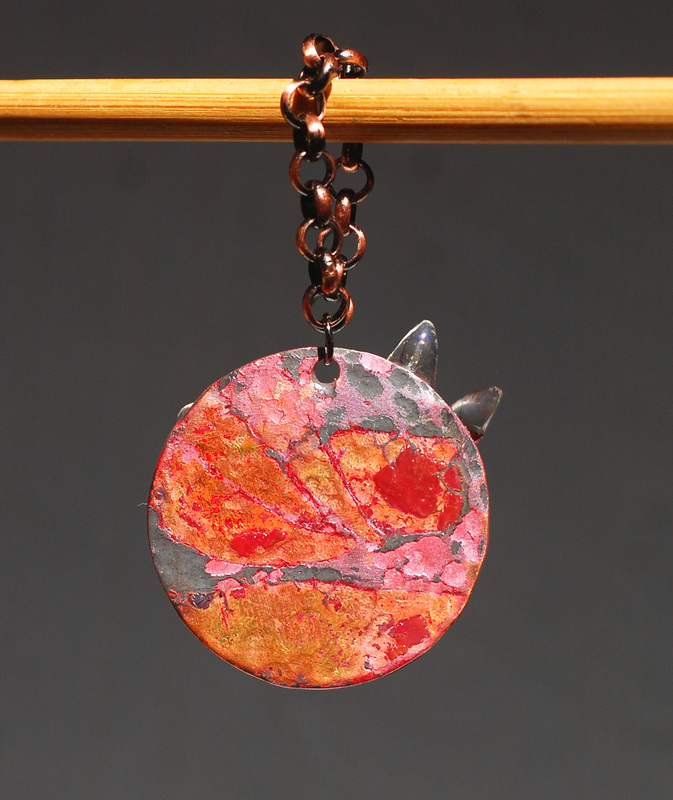 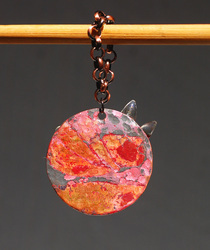 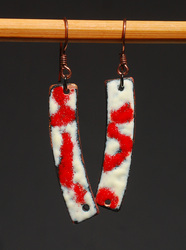 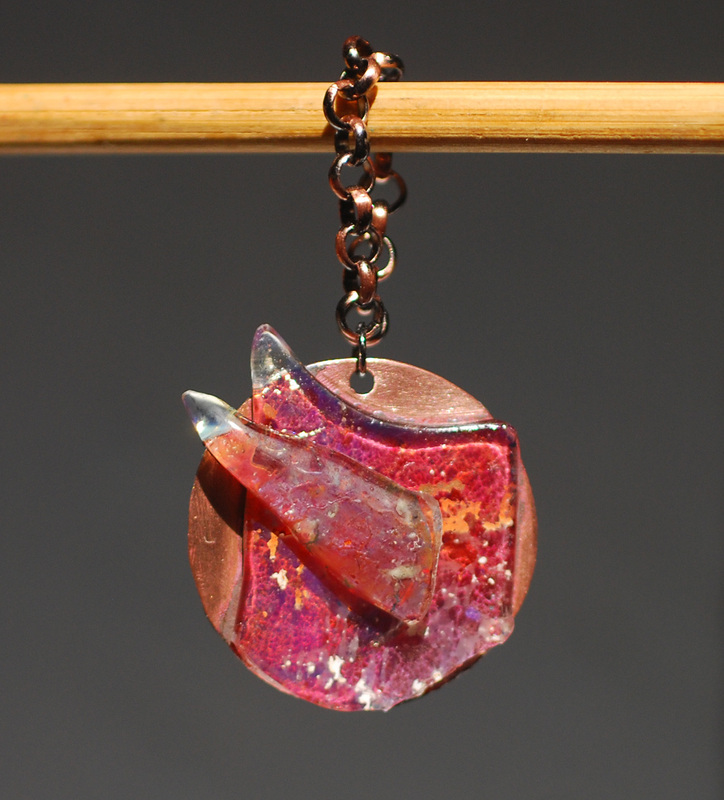 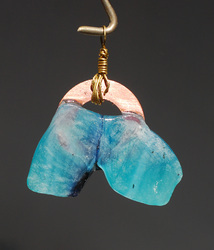 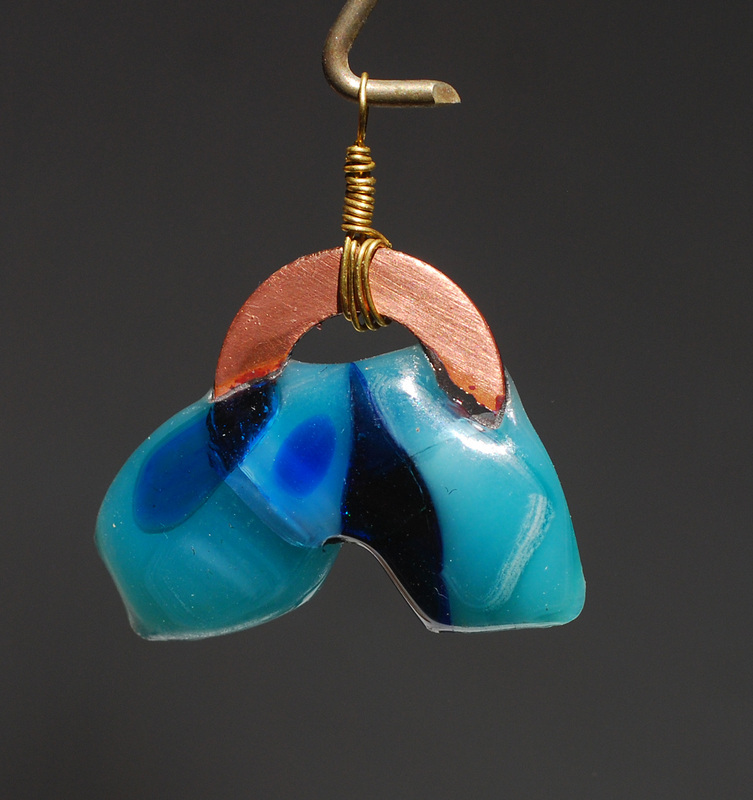 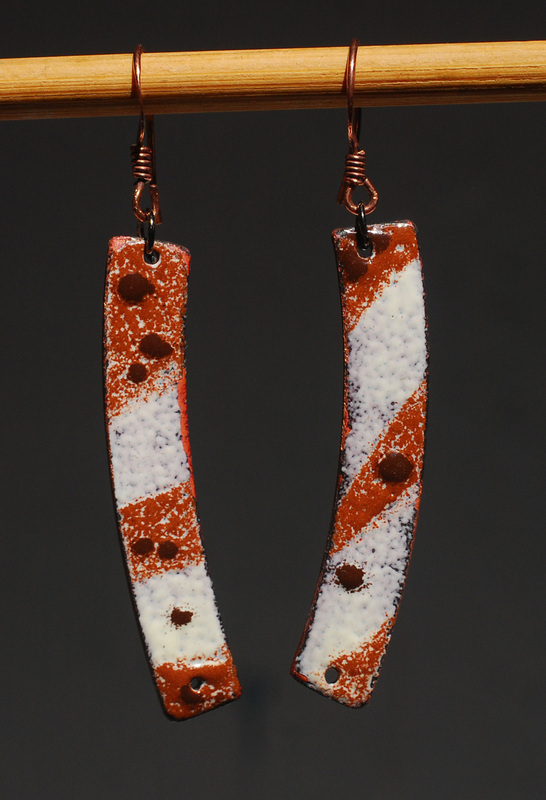 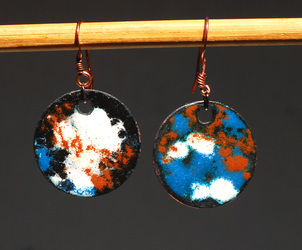 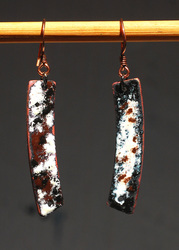 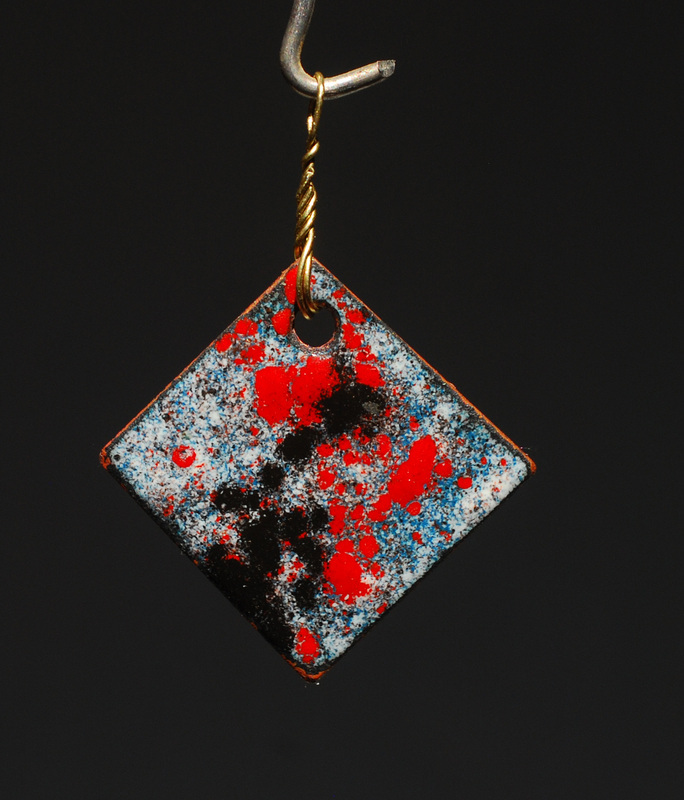 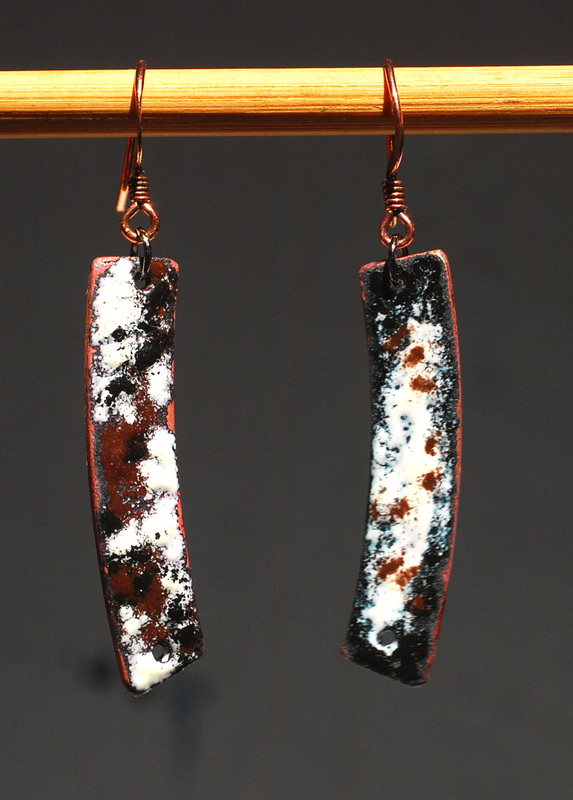 We also make jewelry in a more standard way using enamel powders melted on copper and fused stained glass pieces. 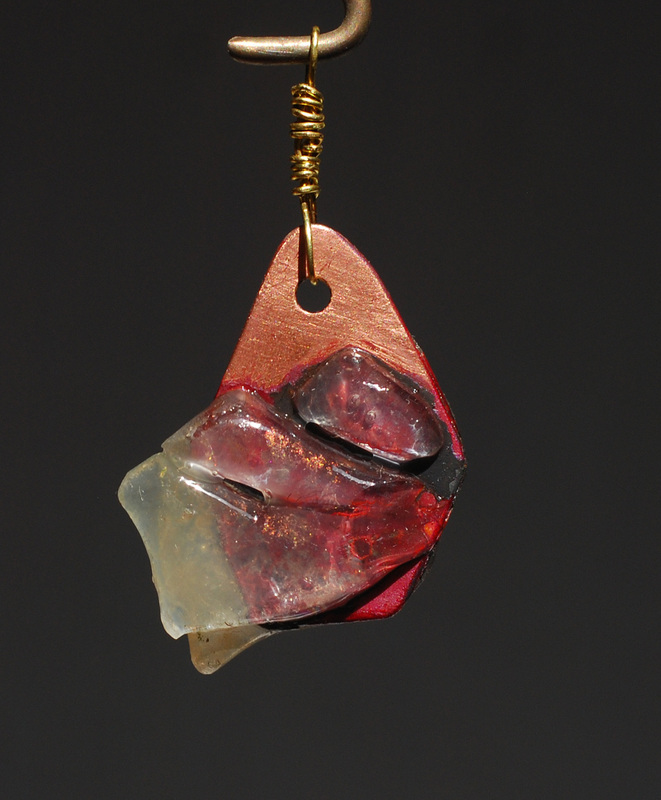 Here is a gallery of the work we have done so far. 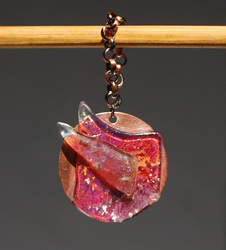 It is on sale from now until January 16 - prices reflect the 20% savings!